Show #68 Last one of the year.. All the best for the new year house heads around the world, keep on keeping on! 1.Waterfall (Deluxe Deep Dub) byMiguel Migs, Lisa Shaw 2.Future Imperfect (Frits Wentink Remix) byDetroit Swindle, Frits Wentink 3.Time Tunnel (Original Mix) byBrassica 4.Smiling Faces byItalia 90 5.Titti (Original Mix) byJesse Rose 6.Deep In My Heart (Original Mix) byShur-I-Kan 7.What You Need To Say (Original Mix) byDeepkeen 8.Flying Sausage byChris Carrier 9.All Because Of You (Steve Mill Dub) byKiko Navarro, Julie McKnight, Steve Mill 10.Track Two (Original Mix) byShur-I-Kan 11.Drop It byThe Shake Up Connection Download and Stream Links..
Show 67 Featuring the usual excellent and finest deephouse music. I like to go back to the vaults sometimes and put this session together with some new and older stuff, maybe even a couple of tracks I've played before on the show but I'm sure you'll like the flow of this mix. Show #66.. Another journey into the darker side of electronic deep beats and grooves, featuring unreleased material from a myriad of underground artists you may know or not.Enjoy the podcast! Show 65.. Featuring the finest selection of new, exclusive and forthcoming sonic adventures in deep underground electronic and house music. Cheer's and enjoy! 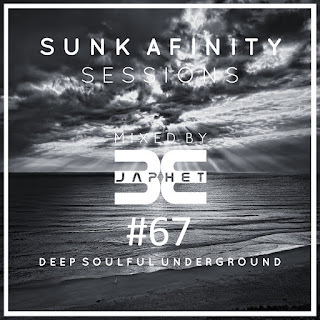 Sunk Afinity Sessions Episode 64Show #64 featuring some excellent deep house and techno cuts. Enjoy and cheers! 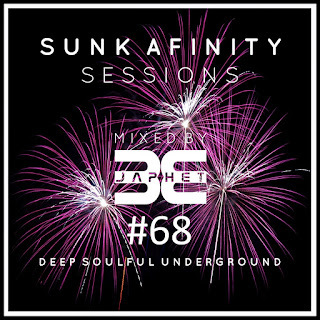 Sunk Afinity Sessions Episode 63Show #63 featuring the usual and unusual classy deephouse cut's and groove's. Cheer's and enjoy! 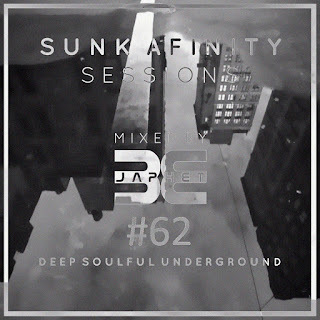 Sunk Afinity Sessions Episode 62Show #62 featuring some real deep and soulful house grooves. Enjoy and cheers! 1.Can You Feel It (Iban Montoro & Jazzman Wax Mix) byCarlos Francisco, Iban Montoro, Jazzman Wax 2.Blvd. byHuerta 3.Silver Blaze byJames Booth 4.Searching (Fingers Mix) byShur-I-Kan, Shur-I-Kan 5.Change You (Shur-I-Kan Remix) byMotorcitysoul Feat. Ovasoul 7, Motorcitysoul 6.Hold Me in Your Arms byThrilogy 7.Barely Breaking Even (Opolopo Vocal Remix) byLeroy Burgess, Opolopo 8.Blink Of An Eye (Finest Wear Remix) byMega Jawns, Finest Wear 9.Nobel's Prize (Homero Espinosa Remix) byTokita, DK & The Doctor, Homero Espinosa 10.You Do You (Jay-J's Shifted Up Mix) byHideo Kobayashi, Cinnamon Denice, Jay-J 11.Cada Vez - Original Mix byNegrocan Download and Stream Links..
Show #61.. Moody downtempo grooves into some serious deephouse and techno, featuring the latest release from myself available now on House HED Music on Traxsource and Beatport. 1.Deep4Life (Main Mix) byIndySoul 2.2poor4change byMr. Fries 3.Everybody (Harry Wolfman Remix) byJan Ketel, Siggatunez, Harry Wolfman 4.Stranger (Original Mix) byRenato (DE) 5.Hush (Original Mix) byJaphet Bryce 6.Tori Karaage byDetroit Swindle 7.J.A.C.K. (Extended Mix) bySebastian Davidson 8.Foosive D (James Dexter Remix) byDimi Wilson, James Dexter 9.Soul Mate (Original Mix) byT. Ruggieri 10.Fly By Night byBruce Trail Download and Stream Links..
Show #60 Deep techno into deep house grooves.. The usual mixed bag of eclectic goodness, enjoy the show.. Cheers! Just while your here.. Check the promotional video for my new track released September on the excellent House HED Music recording label!